* NEW RESIDENTIAL CUSTOMERS ONLY. $35 ACTIVATION, EARLY TERMINATION FEE ($15/MO) FOR EACH MONTH REMAINING ON AGMT, EQUIPMENT NON-RETURN & ADD’L FEES APPLY. Price is after $5/mo. autopay discount for 12 mos. Pay $60/mo. + taxes until discount starts. Discount is instant for online orders on att.com only. In other channels AutoPay is req’d and discount starts w/in 3 bills. I. Restr’s apply. Gain access to popular channels and networks in one advantageous U-verse® TV package. With more than 360 channels, U200 has something for everybody to enjoy.With the Total Home DVR ® you now have the liberty of watching TV anywhere in the house. Plus, you can watch your favorite TV shows in High Definition. Escalate your entertainment with U-verse® TV. 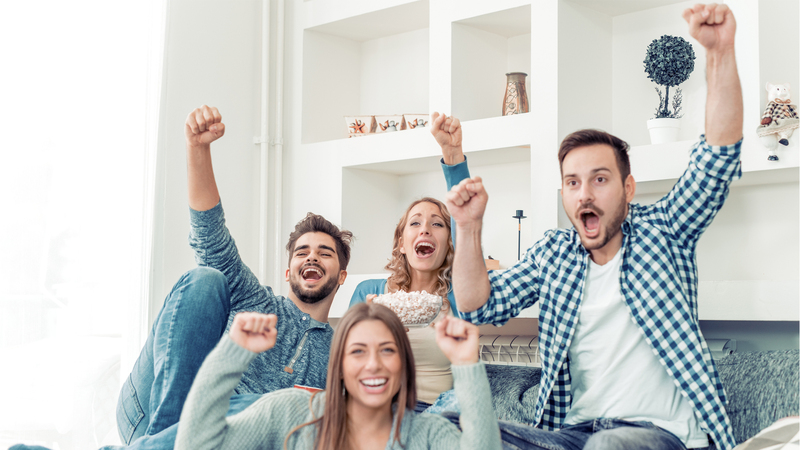 With the U-verse® TV Total Home DVR® you can stay updated with the latest news and all the big sporting events on more than eight different screens in your house. You can record approximately four of your favorite shows simultaneously while you watch the live news, then catch up on your recordings at a later time. U200 has the news coverage you need along with the best celebrity news and gossip coverage. With a great deal of family-oriented channels and some of the most popular networks on television, U200 is the ideal way of getting started with U-verse® TV. AT&T’s Wireless Receiver enables you to get U-verse® TV wherever with a power outlet. You can check out the latest political discussions or Wall Street watchdogs from virtually anywhere in—or out of—your house. Never miss out a fourth quarter comeback, BCS scandal, or stoppage time goal with the U-verse® TV sports add-on. It’s all the sports, and sports news, you could possibly want in one package. Stay notified about the world without leaving your home. Including everything from South American soap operas to most popular Japanese comedy shows, the U-verse® TV International package gives you a taste of what the world enjoys watching. Now you can enjoy your favorite movies and TV shows while you are outside on your mobile devices. With U-verse® TV the opportunities to access HD content are truly unlimited. And with the help of the U-verse® TV smartphone application, you can easily schedule your show recordings and stay up to date on the latest trends and breaking news. A verified device and data connection is required. Content may vary based on your device, TV package and region. Data charges may apply. U200 provides a variety of channels for all your entertainment needs. Get the channels of your choice that you want at a price you’ll love. With U200, you can now watch your favorite movies on channels like AMC and Turner Classic Movies. Get access to sports networks like ESPN and FOX Sports. You can enjoy major sports events and news all day long. Enjoy channels for the whole family. With options including Disney and ABC Family, U200 has something for everyone to watch together. Stay up to date with popular, nationwide news networks like CNN. Get the latest news and biggest stories. Enjoy an extensive library of music with 46 digital music channels. You’ll find something for every mood. Get access to your favorite channels that are specific to your location with U-verse® TV. U-verse® TV offers extra benefits that provide you with more viewing options. Watch what you want, when you want with U-verse® TV. Watch your favorite episodes at your convenience with the Total Home DVR® from U-verse® TV. With hundreds of networks and TV shows to watch, you don’t have to stress over picking just one. Record 4 TV shows simultaneously with the Total Home DVR® that allows you to play them back in any room. Even pause and rewind live TV. Benefit from the convenience of the Total Home DVR® with your U200 package. Get amazing picture and audio quality when you incorporate HD programming to your U200 package. With U-verse® TV HD service, you’ll have high quality TV shows and crystal clear image quality. Stop watching TV and start experiencing it. Call to learn more about how to get HD channels from U-verse® TV. Increase your home entertainment options with On Demand. With the U200 package, you can access thousands of shows and movies. Watch your On-Demand entertainment on the go with the U-verse® TV application and Uverse.com.3 On Demand lets you watch what you want, when you want. Get access to your favorite channels that are specific to your location with U-verse® TV. HBO®, SHOWTIME® and STARZ® are just a few of the top networks available from U-verse® TV. Don’t miss an opportunity to get the most famous TV shows, blockbuster movies and special programming available when you include the premium channels to your U200 package. Take your entertainment to the next level with U-verse® TV’s finest networks. The U200 package offers the networks you want and the features you’re looking for. Bundle your TV package with AT&T High Speed Internet and digital home phone service for additional savings. Call now to learn more about what U-verse® TV can do for you. Total Home DVR functionality is available on up to 8 TVs, and requires a receiver for each additional TV for an additional monthly fee. Get HD services for $10 per month. Plus, when you opt for the U-450 package you get more than 230 channels with the HD Premium Tier for $7 per month. Access to select content requires compatible device, qualifying U-verse® TV plan, and Wi-Fi connection and/or cellular data connection. Available content may vary by device and/or U-verse® TV plan and is subject to change. Data charges may apply. AT&T High Speed Internet service is required to connect a qualifying device to an U-verse® TV receiver. 1-YR U200 ALL INCLUDED TV PACKAGE: Ends 5/31/18. $55 for first 12 mos. only. After 12 mos, then prevailing rate applies (currently $102/mo), unless cancelled or changed prior to end of promo period. Pricing subj to change. $5/mo. discount: Must enroll in autopay w/in 30 days of TV activation to receive bill credit starting in 1-3 bill cycles. First time credit will include all credits earned since meeting offer requirements. Autopay requirement waived for online orders on att.com only. Incl. U-200 All included HD service, equip fees for 1 HD DVR and standard pro installation. Exclusions: Price excludes applicable use tax expense surcharge on retail value of installation, custom installation, equip upgrades/add-ons (each add ’l receiver $10/mo) & other charges, including Broadcast Fee (up to $5.99/mo), a federal regulatory video cost recovery chrg and city video cost recovery fees. Credit restr’s apply. Different offers may apply for eligible multi-dwelling unit customers.